Introduction: This encounter begins with a bump from Judith McDaniel (ETC editor, web-based course design), who posted a comment to Steve Eskow re Evaluation of Evidence-Based Practices in Online Learning: A Meta-Analysis and Review of Online Learning Studies (Washington, D.C., 2009), conducted by the U.S. Department of Education, Office of Planning, Evaluation, and Policy Development. After reviewing the excerpts or the complete report, please post your extended comments re the findings. Some or all of the comments will be appended to this article as they are submitted. • The observed advantage for online learning in general, and blended learning conditions in particular, is not necessarily rooted in the media used per se and may reflect differences in content, pedagogy and learning time. • Most of the variations in the way in which different studies implemented online learning did not affect student learning outcomes significantly. • Studies in which analysts judged the curriculum and instruction to be identical or almost identical in online and face-to-face conditions had smaller effects than those studies where the two conditions varied in terms of multiple aspects of instruction. • When a study contrasts blended and purely online conditions, student learning is usually comparable across the two conditions. • Elements such as video or online quizzes do not appear to influence the amount that students learn in online classes. • Online learning can be enhanced by giving learners control of their interactions with media and prompting learner reflection. • Providing guidance for learning for groups of students appears less successful than does using such mechanisms with individual learners. F2F proponents (right up there with the Luddites supporting print publications against digital encroachment) refuse to acknowledge a broken system. F2F served educational purposes well in another age (in a galaxy far, far away). And while there are still excellent F2F synchronous instructors (e.g., Randy Pausch), by and large the student audience has moved on. This government study merely confirms the obvious — almost anything is as good or even better than F2F instruction, at least as too many F2F instructors practice it. For all intents and purposes, F2F instruction is dead. Yet, online still remains in the wings, albeit with one foot on stage. We tend to forget that communication is at the heart of learning, and that schools and classrooms are basically a medium or form of communcation. The problem is that we’ve become so accustomed to the classroom that we no longer view it as a medium of communication but equate it with learning. The danger of this equation is the tendency to dismiss other critical media such as the web. Another way of viewing this dichotomy is the notion of formal and informal learning. For many educators, the distinction is clear: formal happens in the classroom, and informal, outside. Since the web appears to be clearly “outside” the classroom, it’s informal and irrelevant. Fortunately, students don’t buy into the belief that learning is limited to what happens in the classroom. They understand, intuitively, that the web is a natural medium for communication and learning, and that the distinctions between formal and informal learning are all too often arbitrary and meaningless. John Thompson, in his comment above, says, “By and large the student audience has moved on” to online modes of communication. I agree. For them, traditional F2F classrooms are becoming, like telephone landlines, anachronisms, sharing the same fate as typewriters, newspapers, and horse-drawn carriages. The web’s instant, anywhere, anytime communication with anyone or with any information source in the world is a given in their daily lives. In their lives outside the classroom, students have become expert at informal learning or learning that’s not guided by an instructor. They use their mobile electronic communication devices to get information instantly on the latest news, entertainment, products and sales. If they need information, they automatically turn to the web simply because it’s there and they have access to it from anywhere at anytime. And more importantly, it’s a way to keep in touch with friends, allowing for the creation of social networking that’s unprecedented. Through the web, they can stay in touch with all their friends 24-7. They’re never more than a few seconds apart, regardless of the physical distances between them. Replacing some of their F2F class meetings with online activities is a way for educators to acknowledge the undeniable impact of web technology in the lives of their students. This adjustment is considered “blending,” and the result is blended instruction. It seems to be working very well, and many if not most claim that it’s superior to both completely F2F and completely online methods. The USDE report seems to support this contention, but the gap between online and blended is apparently closing. My concern with the term “blended” is its inclusiveness. It includes such a wide range of practices that it has little or no power to define an actual pedagogy. Like a storm building at sea, online learning is gradually making its way to landfall, and all indications are that it’s strengthening rather than weakening, and when it hits shore, the impact will change the educational landscape. The coming years will be exciting, but we can’t really see the dramatic changes that are coming. However, we can read the signs and imagine. 1) The research does not indicate that the practice of using online quizzes is ineffective either. 2) As the report indicates, each study looked at slightly different things. The above comment was based on very few studies. 3) There are several important but unstated qualifiers. For example, one study found that discussions worked just as well as quizzes; that doesn’t mean that the quizzes weren’t effective. 4) Effectiveness depends on other variables. (Duh!) Interestingly, one study found that one LMS platform was better than another (WebCT vs. IDLE), suggesting that “details of their user interfaces” may have been the key variable in that case. As this example shows, there are LOTS of elements that can explain differences — elements that IMO are impossible to control using (quasi-) experimental designs. On another level, the report’s summary findings do NOT point out significant findings such as the Zhang study because, as one of my colleagues has put it, they are asking the wrong questions. But if you take the summary findings at face value, it’s easy to lose the more important and useful findings such as Zhang’s. To me, that means that you’re much better off in looking at the “combination of elements in the treatment conditions” than in taking the report’s summary findings as stated and running with them. One other important point about this report: it apparently fails to take differences in learning outcomes assessment methods into account. in some cases, they simply report that learning outcomes were the same (or not) without telling us what methods were used. This is a clear yellow flag IMO. 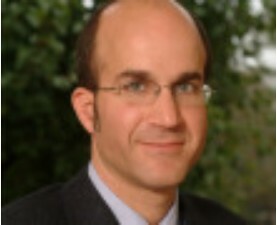 Young writes that, according to studies, students think lectures and labs depending on computer technology are less interesting than those relying on discussion and interaction. PowerPoint presentations (one of the main areas of complaint), for example, are often used as a replacement for transparencies shown on an overhead projector and make no substantive difference in lesson delivery. An effective use of video technology should be to spark discussion and not be a replacement for a lecture. 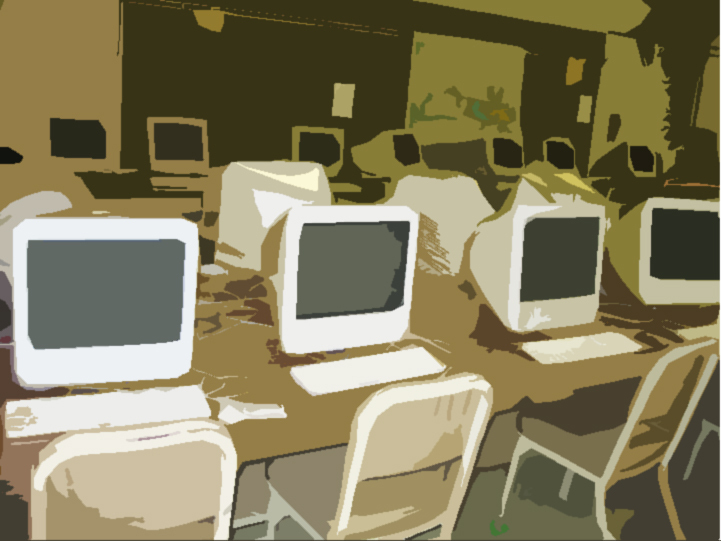 Despite its title, the article is not insisting that all technology and all computers should be thrown out of the classroom. It is making the point that the way technology is used in the classroom needs to be reassessed and changed so that it is not just being used to replicate the traditional modes of delivery. I agree that this attention to design is important not only in the online environment McDaniel was referring to but also in the face-to-face classroom with or without technology. As Young says, with stiff competition from online courses, face-to-face courses need to engage students so that they see a reason for being in the classroom. 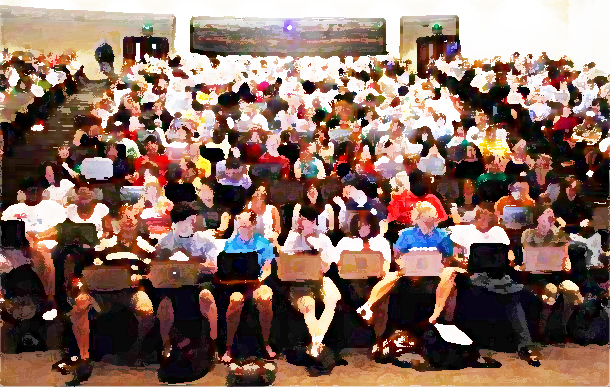 I absolutely agree with Judith McDaniel (What Students Want and How to Design for It: A Reflection on Online Teaching, posted on July 19, 2009) that online learning of any sort requires a different dynamic than traditional teaching techniques. Although technology has moved from an interesting idea in the latter part of the last century to a defining role in this century, I don’t see schools necessarily following suit. A good example is a recent workshop I did for staff from a local school district. The instructors specifically requested a workshop on “Using Blogs and Wikis in the Classroom” and were willing to give up some summer sun hours to attend. The tech coordinator (or facilitator, since the position of technology coordinator was eliminated and a principal stepped in to fill the gap) was more than willing to set up the workshop. However, when I got to the school (and remember, the TOPIC was blogs and wikis), I found that the firewalls blocked all access to any form of social websites, including blogs and wikis. I spent a good amount of time with the IT department getting access to a limited number of blogs and had to verify the content of those (even my own, by the way) I was given access to. Even after gaining access, throughout the workshop, that access was spotty, as links were sometimes allowed and sometimes blocked. From the instructor viewpoint, wanting to bring these tools into the classroom was questionable, given that experience. While filtering websites is important to schools, better dialogue is needed to allow instructors the access they need to teaching tools while still maintaining control of questionable content. As a former school board member, I recall similar issues in the late’ 80s and ’90s with the IT department, administrators, and even board colleagues regarding having access to the Internet itself from the classrooms. While they saw the value of administrators and staff using the Internet, they balked at allowing the same access in the classrooms. I understand well the frustration of instructors who want to use these tools with their students but run into brick walls when they try. 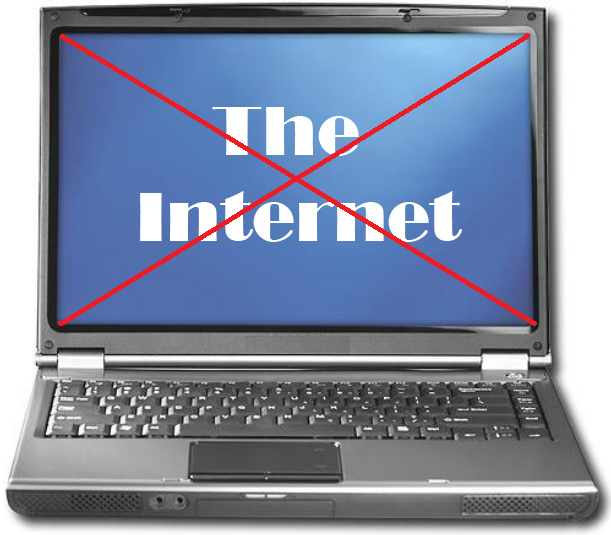 While not identical, limiting access to Internet resources strikes me as similar to banning books. Instead of allowing instructors to develop educational content as needed, a concern from a limited group blocks all access to these sites. A better dialogue needs to be developed, including perhaps even a faculty liaison committee to bring these concerns to the proper channels. Simply assuming that teaching with computers is the same as traditional teaching keeps students from the tools they need to succeed in the real world. I just finished teaching my Women in Western Culture course online for the third time. The course materials span from prehistory—in the form of various creation myths in diverse cultures—to modern art and literature. It’s a quick overview with a theme: How were women seen in each of these instances and did the literature create or reflect women’s positions in the culture? Topics for discussion include the effect of religious myth on gender stereotypes, gender expectations of men and women, gender biases in language, among others. This is a class that I have taught at least a dozen times in a face-to-face format over the last 15 years. In the summer of 2008, I designed the class for online presentation for the first time. Here are a few of the comments from students at the end of this summer term. I offer them not to compliment myself but to lead into an examination of what these students appreciate in a university level course and how we can design experiences that will take them there. Ellie—I would definitely recommend a class like this, whether it was a boy or a girl. I think that an online class like this may be an even better experience because people can express their feelings and reactions to certain readings without having to worry about the reactions of their classmates. I am very glad I took this class. Grant—I’m glad I’m not the only one who felt like it was easier to post my opinion online than in a classroom. When I started posting I was sort of nervous about posting my ideas, but after a little while I felt a lot more comfortable with it than I would have in a classroom. I’m not sure what it is exactly, but I guess just not having to see everyone’s responses immediately kinda changes things. Ashley—I would definitely recommend this class to a friend. I would tell them to take it in an online format over a classroom format. This class requires your opinion and not everyone is comfortable in expressing their opinion in a classroom format because they don’t want to be judge. The online format makes you worry less about other peoples judgments which makes it easier to express your opinion. Hoi Ying—I agree with you that this class is perfect for web-delivered. Since some of the topics that we discussed were relatively controversial, it was better for us to discuss it online, where we would not see each other’s races and sexes. I know I certainly would be too embarrassed or timid to voice my opinion in the classroom. How do we design for anonymity and protection of opinions? We don’t. To a large extent, this is one of the gifts of the online format. Students don’t see one another and any intimacy they develop (and they do grow to know and like one another in varying degrees) is based on their expression of ideas and exchange of ideas. The one important role for an instructor in this regard is making sure that appropriate online etiquette is described, modeled, and enforced. Arlene—The most surprising thing that happened consistently over this semester, was not necessarily in relation to the readings, but to the responses that my classmates had for each discussion. I was so surprised by the numerous postings, holding such high quality and different responses. There were definitely remarks made that I had never considered before reading their posting. All I can say for my fellow classmates is job well done, you made it easier for me to discuss the readings – whether it was giving me a new perspective or answering a question that I simply couldn’t answer. Actually, to be completely honest, I enjoyed every day that we had discussions because I could write what I thought and have the ability to comment on the totally opposite idea that someone else had. There were definitely some good discussions from this semester. Keith—The thing that surprised me the most was that the course wasn’t about women’s oppression in the business world or the objectification of women in the media but the course was more about the oppression of a woman’s ability to think and act for herself. The most important thing I learned was to listen to not just women but to other people as they express their opinion because i never know when they may bring up a topic or have an idea that I never thought about. This will help me with being a doctor and being a better human being. Carley—When you mentioned that each classmate has very different ideas and opinions that they bring to the discussion, and it helps you form your own ideas, I can honestly agree. In the beginning of the class I would always read what everyone said before me but I realized that wouldn’t help me when it came to my turn to write my initial post. I think it really helps to go with your gut instinct of what you pulled to the reading. It brings more conversation, cause you might find people agree and disagree with you but it helps you learn. How do we design for interactive discussions? I also developed a rubric to give the students along with the syllabus: “How will I be graded in these online discussions?” A response that is social rather than an intellectual engagement will receive no points. A perfunctory response that indicates the reading has been done will receive one point. The highest level (5 points) requires engagement, a reference to the reading for the post (or previous posts), and a question that will further the discussion. It did not take long before most students became very good conversationalists. Brittany—It was somewhat difficult because I worked everyday of this course, but it was not impossible to do in any way, shape or form. It definitely kept me on my toes though! In fact, I read more for this course than I did all last semester…I learned a lot, but each of us had to put effort into this class, it wasn’t to be taken lightly or for an easy grade. This course was structured to learn and grow, which is honestly what I believe happened for us all. I have not read one posting that said my fellow classmate learned nothing during this semester. How do we design for a structure that challenges and rewards? When I am designing a course for web delivery, I spend more time than otherwise attempting to balance the amount of time and work a student will need to commit. I want the reading to be fairly even across the course, which is hard when I have some poems, some short stories, and some novels. I bring in feature length films, video excerpts, both short (3 minutes) and longer (up to 20 minutes). I try to alternate straight reading assignments with time spent in interactive research on the web. I use no lecture material in this course. All of the information is included in the prefaces to the discussion prompts, the background for the Essay responses, and in my interjections during the students’ discussions—just to make sure they have all of the pieces I want them to be considering. Moving away from the lecture format was both scary and freeing for me. After 30 years doing it one way, I had to be reassured over and over that students would have an equivalent (if not better) learning experience as I began to adopt this new format. Corey—I also found it interesting to learn about the Bloomsbury group. I had no idea that a group like that with such sexual differences existed in a time era that anything out of the ordinary would classify you as different. Erika—I was actually really excited when I saw today’s assignment because I already had an idea of who I wanted to talk about! I come from a family of photographers (My grandfather was a published photographer) so it has been a passed-down passion. 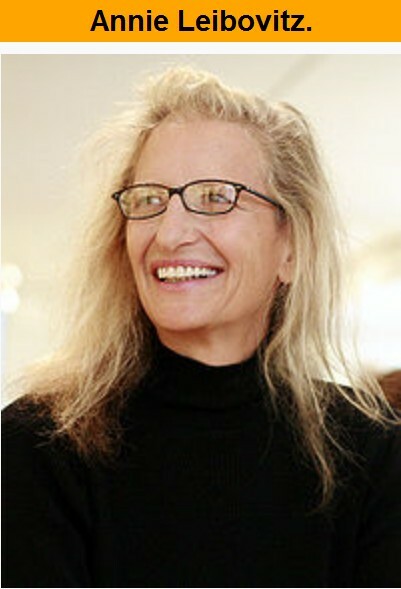 The female artist I wanted to reference and discuss was Annie Leibovitz. She has taken many famous photographs that many people may not know that they were hers. Annie became interested in photography in high school and then went to learn at the San Francisco Art institute and then started doing photography while living in the Philippines during the Vietnam War. She returned to the states in 1970 and became a photographer for Rolling Stone magazine, which she worked for until 1983. Her most famous photograph was that of John Lennon and Yoko Ono where Lennon is curled up next to Ono. How do we use the web and its resources for original research online? What I have learned since I started teaching online, which I had not been aware of in quite the same way before, is what extraordinary resources are available for teachers and students. I need to make sure the quality meets my standards, but I would never be able to find a better intellectual resource, for example, than the website produced by a Brandeis University professor on a Shinto shrine in Japan—the history, the present day use, the myths that support it, and the art work that has grown up around it. In this Western Culture class, I had three original research projects: one on creation myths, one on women artists from 1975-2009, and one on the social and historical background of Virginia Woolf’s novel, Mrs. Dalloway. I think the danger for a course designer is to become trapped in the idea that “equivalency” means using all of the same tools but somehow just shifting them from the classroom or library to the web. To some extent, we can do that, but if we do that we are missing a huge potential learning experience for our students. To me, encouraging our students to live that classic goal of higher education, the life of the mind, means giving them engaging research to do and a forum in which to discuss it with peers and mentor(s). Sarah—I think the most important thing I learned from this class is being a better writer. Having to write a paper each week, and a discussion each day really improved my writing skills. I found out that I really enjoyed talking to people in our discussions, and finding ways that I could add to the conversation. I think this type of learning is very important because you learn from your other classmates. They might have found something in the text that you missed or didn’t understand. I also really liked this class cause it breaks you out of your shell and requires you to converse with other classmates. Overall I think this class has brought great improvements to myself as a writer. I’m not as afraid to write papers each week. Carrie – thanks for the interesting summary and analysis of At Risk. I had several responses myself after trying out the same “free” sample interaction that you did. Let me see if I can summarize some of my discomfort with this product. First, I don’t think I have had a class at the university level with only 20 students in it since the 1980s. So for me, one necessary assumption is that most instructors are going to be dealing with far larger classes than the one represented here – at least double, probably triple or more. That makes this entire process problematic for me since it assumes that I will be talking to these students about their work outside of class – and in very large classes that seldom happens. I am concerned too that my role as an instructor, not a therapist or counselor, not be confused – by me or by my students. Further, the self-reporting of changed attitudes is interesting. I did not have the same experience that you did with feeling more comfortable. But that aside, self-reporting, no matter how well-meaning, is not evidence that the program works. Changed behavior in terms of frequency of reporting would be more relevant, but of course that takes years and $ investment. I also found the “flags” for what we should notice in our students to border on the ludicrous. Does a student come to class looking tired and with messy hair? Yes, that describes about half of a freshman class in early November. Is a student anxious or withdrawn or sullen or non-participative? Yes, inevitably when there are 100 or more students in a class, that describes some of them. I have never found that to correlate to a need for referral . . . that I would have known. And, finally, that is my last discomfort. I did have a student who disappeared last semester two-thirds of the way through class. She had been doing really well. Emails did not get a response. Finally, the last week of the class, she reappeared. She had been hospitalized after a suicide attempt and was back. I am still working with her to finish her Incomplete. But could I have referred her sooner? I honestly can’t imagine how. Would having taken this training have let me identify her? Not from what I have seen of it. Are Online Programs Growing or Dying? 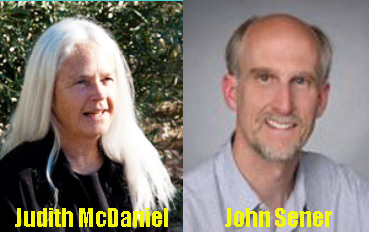 Judith McDaniel, in her response (28 May 2009) to John Sener‘s article, “The Recession Is Affecting Online Higher Education – Duh…,” points us to an article that appears in the Chronicle of Higher Education, “Rocky Start for Colorado State U.’s Online-Education Start-Up” (28 May 2009). She gives us a paradox to think about. As we receive glowing reports on the growth of online programs, we’re also seeing signs of their possible demise. I did a quick google and found two more articles that suggest a decline. Citing “low and declining enrollment,” Butler Tech is eliminating one of its three online learning programs (Lindsey Hilty, “District to Revamp Online Programs,” JournalNews 5.31.09). The Navy, in response to a lack of funding, is dropping nearly 4,000 online courses (David J. Carter, “Navy Cuts Online Business, Technology Courses,” Stars and Stripes 6.2.09). Which is it? And perhaps more importantly, why are we getting these mixed messages?